name of board has changed from "AR9x Universal" to "AR Uni". AR9x came out about a month ago and it's doing great for Turnigy 9x, FS-TH9x. Currently it's out of stock and next production is scheduled before Feb.
During this production, I started the project that can convert old TXs into latest open source featured TX. - more detail, please refer AR9x thread. One difference from AR9x is the size of board. It is very small and expected to be fit into most TX's body. I'm trying to make it as small as it can be, however right size should be discussed. 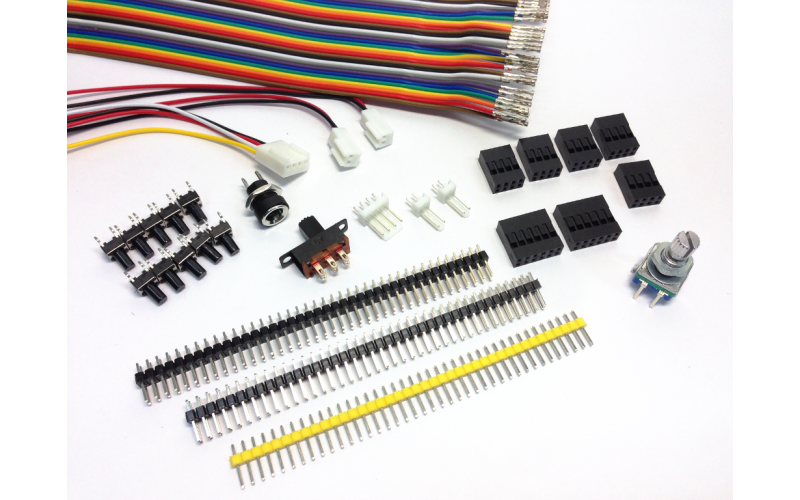 Also, it has all the connectors in 2.54mm(100Mil) standard header pins will allow easy modification for most TXs. USB, SDcard interface board connects to main board with FFC, so it can be placed on the side or front of TX. 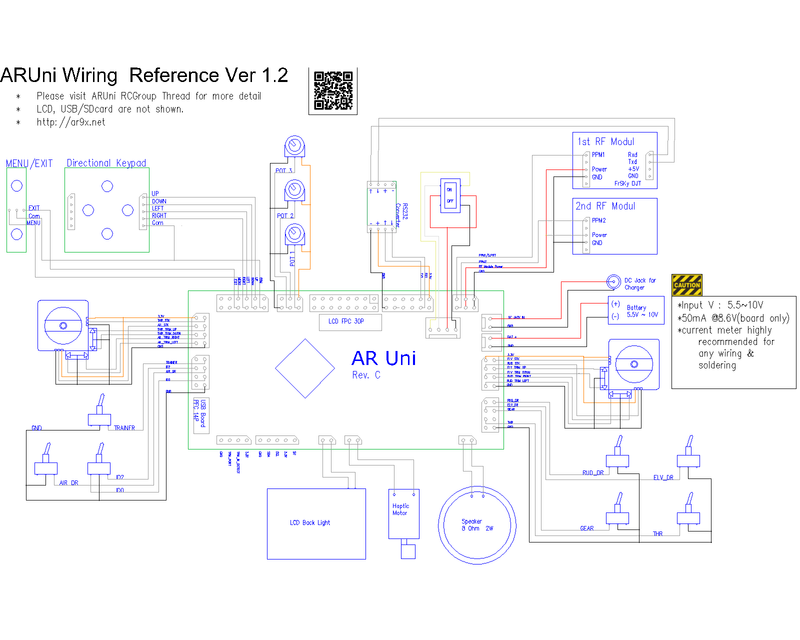 PCB board design is just started and before finish it, really like to hear some ideas and thoughts about this to make it better for all interested in. my personal goal is to release this board before mid Feb.
Price, of course it should be less than AR9x. Any progress should be posted. For better clear view, please see PDF file. Last edited by flygear; May 17, 2017 at 08:32 AM. my first TX to be converted is MC3030 from multiplex. It is still one good TX but analog trim really bothers me. Last edited by flygear; Aug 21, 2016 at 07:30 PM. I like positional feedback of analog trim too but I often change models and resetting trims.. not my favorite thing. Put a dual-contact type FPC connector for LCD module. Omron offers the dual-contact type FPC connectors. 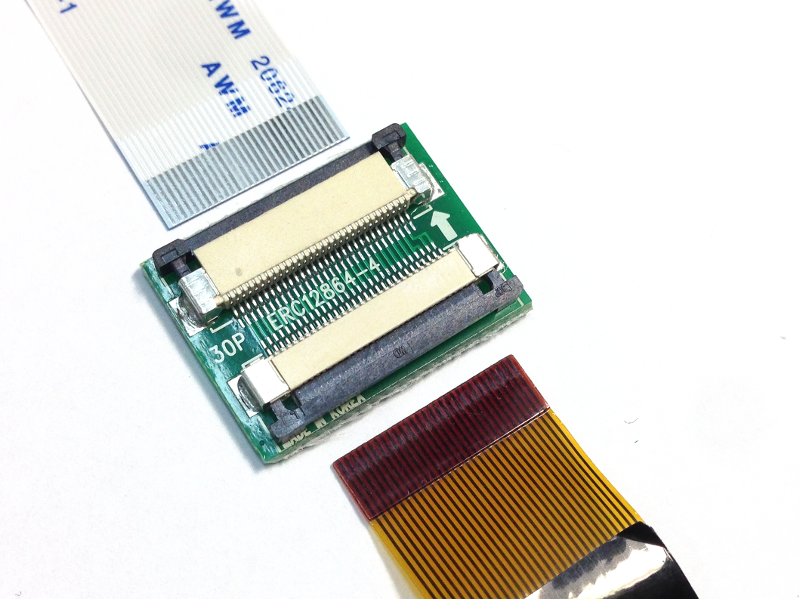 www.buydisplay.com offers variety of 128x64 LCD modules compatible with 9x software and all of them come with a bottom-contact type ribbon cable. If possible, add 13 solder pad/thruholes for D0-D7,A0,RES,E(RD),VCC,GND of LCD signals. If so, you can easily hook up LCD modules like this http://www.ebay.com/itm/12864-128X64...7wc5lRWVdnGJ6A or a serial LCD's like this http://www.ebay.com/itm/12864-128x64...kAAOSwHQ9WUuZt without using an FPC connector. SD/USB daughter board looks too wide. It would be better if you allow us to cut out USB connector portion by leaving just 4 solder pads/thruholes in case SD card and USB connector have to be placed in the different spots of the case. Plz take a look how I put a SD card on the old aluminum box - there's not much space. I'm planning to put a mini-USB connector like this http://www.ebay.com/itm/10Pcs-Mini-U...0AAMXQWlFRsgc9 at the bottom or top of the box. I just need 4 wires to hook up the USB connector. 1. Please separate the ground between TRIM keys and MENU keys. I use two 5-Way navigation switches for digital trims, as well as menu setting, by selecting the appropriate ground by "PRGM-OPER" SPDT switch. By doing this, I can save a lot of knobs and switches on the front panel. Actually I reduce switches from 10 to 3. I am sure that you can reduce I/O count by multiplexing them. 2. As for the board size, please keep it AS IS. The 4-corner mounting holes are the "exactly" the same size of these in old MP8000 radios Just my 2 cents. Photo is with the old HK board, and it distorts the perspective, but the screw locations are pretty much dentical. 3. I wish I had trims for AUX analog outputs. I plan to use analog sliders (PAN and Tilt) with center detent, but I want to change the center setting during the flight. I can use them in leveling the flight stabilizer on the fly. 4. This is nothing to do with the board itself, but just is my f/w wish list. 1. In AR9X, MENU ground is not tied to GND and it is controlled by software to scan the nav switch states. 3. If you add trim pots in serial like old analog trims, you can adjust center of the sliders without changing any hardware/software. 4. Are you talking about Futaba 9Z? If you add enough 3 pos switches, you can program the radio similar to the flight conditions in Futaba 9Z WC2 radio. I programmed the complex flight conditions in my days of pattern flying but as far as programming is concerned, IMHO, 9x software is far more logical than 9Z. -This is great. With a stabilizer, I have more parameters I want to store per flight mode. (kinda funny that I thought I need less parameters once stabilizer is installed...) Is there a manual that explains what parameters can be stored per FM and per Aircraft? -I am definitely exited to follow the threads you folks are driving Thanks for helping me to get on board. I would request RTC. Full RS-232 on all ports 1,2,3. Leave a place to put the caps back in when we find out they are needed. It is possible they might affect switch life or interference from other radios. Can it be an optional small daughter board with few wires? These are really great inputs! I'll check all above and back to you with all positive answers. board only provide 3.3V level of UART(serial) signals pins and use seperate very tiny TTL-to-RS232 convertors? 13 solder pads, actually 14 pads(3.3V, GND, RESET, RW, A0, RD, D0~7) ready and done. 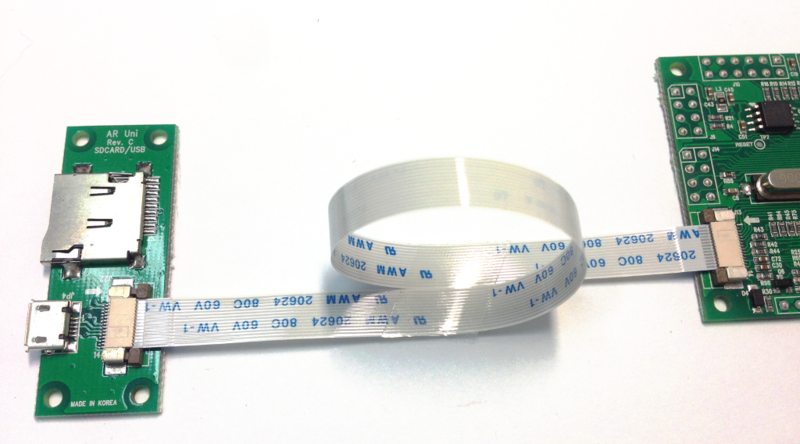 All pads are 2.54mm standard pin holes. SDcard daughter board size, it has be together with USB connector and two mount holes on both side. 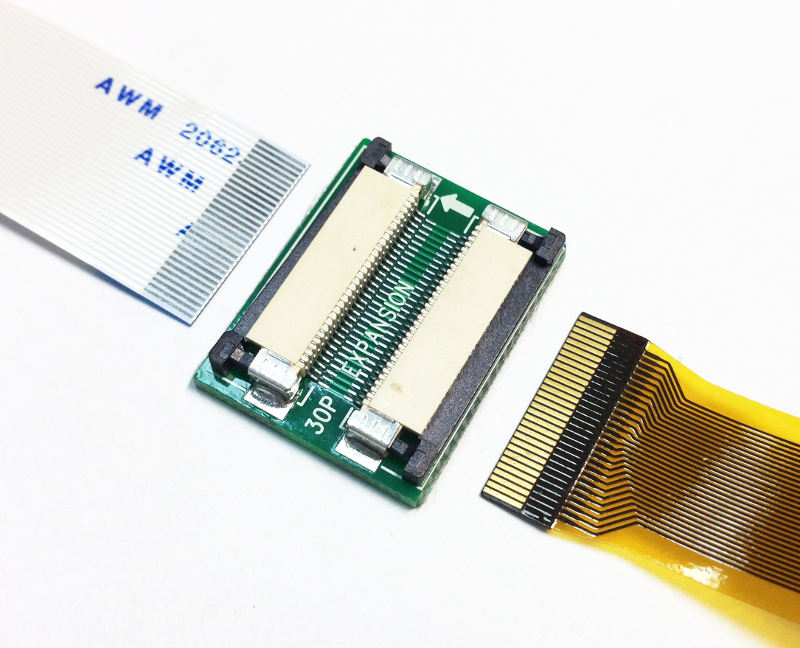 LCD extension pin holes are located right from FFC LCD ribbon connector. No header pins will be mounted as it's getting way of FFC LCD ribbon cable. It's standard 2.54mm(100mil) holes so should be fairly easy to solder.